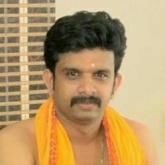 PK Vasudevanunni is a Traditional Keralite Astrologer from Palakkad District. He has now been working at Ernakulam for the past 16 Years. The services that he provides include Prasnam, Horoscope Writing, and Reading, Muhurtham, Horoscope matching, Thamboola prasanam for House and Business Institutions in traditional ways is also his area of expertise.